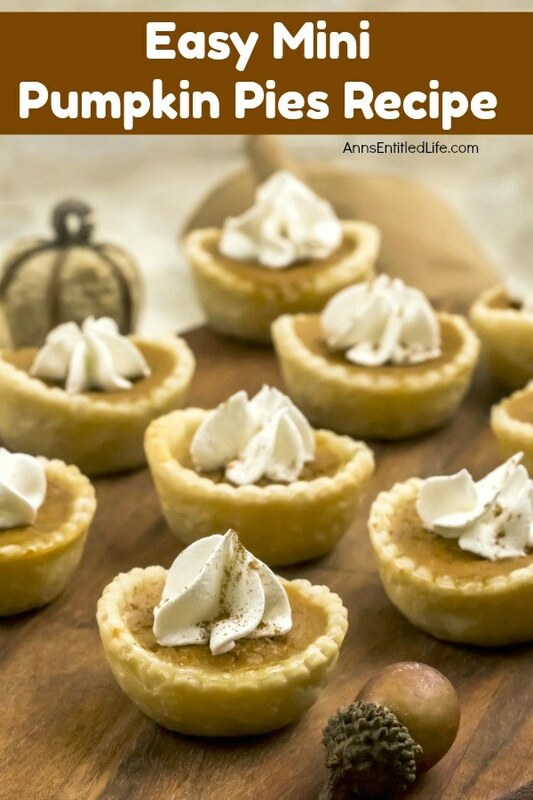 These sweet little mini pumpkin pies are just so simple to make! 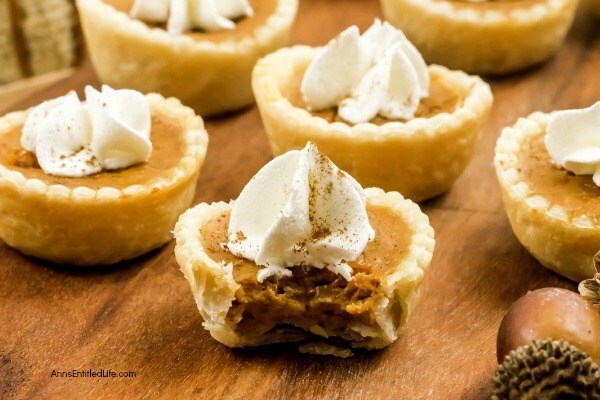 If you are searching for a tasty bite-sized holiday dessert, these individual pumpkin pie bites are sure to impress your family and friends. 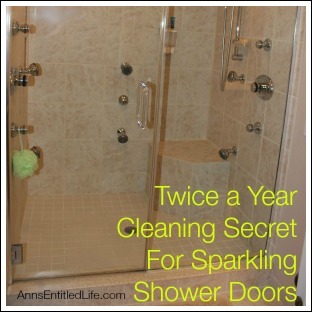 Only you will know how easy they were to prepare. 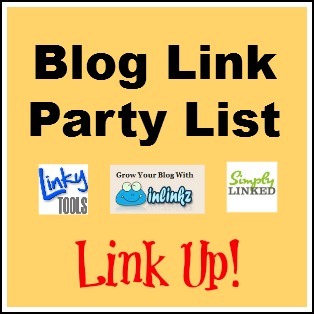 Hosting a holiday party and need some bite-sized treats for the buffet table? Trying to limit your sweets intake? 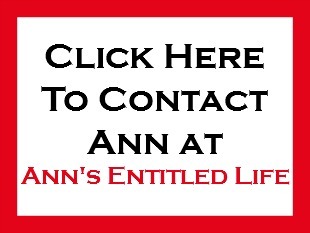 Looking for smaller portion sizes? Hate dessert waste? 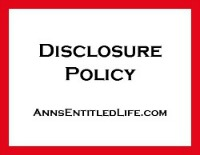 (In my opinion that should be a crime!) 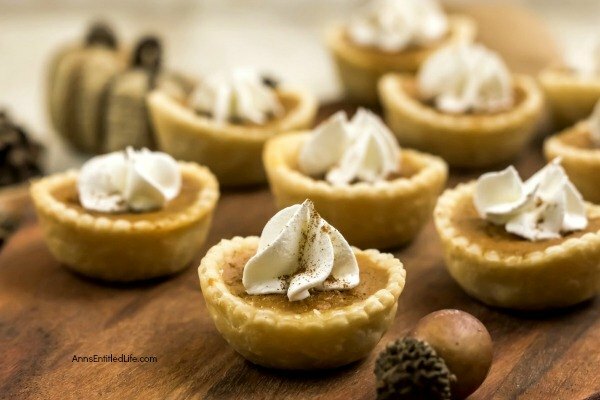 A bite-sized (mini, individual, whatever you want to call these little pumpkin pies) dessert may be just what you are looking for! 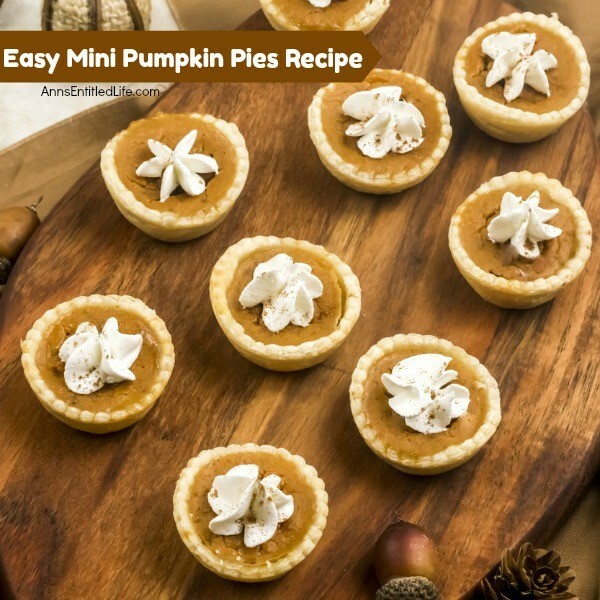 This easy mini pumpkin pies recipe really is a breeze to put together and bake. 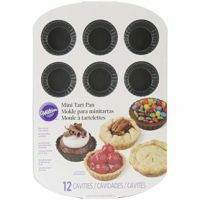 Just dot the mini pies with whipped cream before serving and voilà! a great little holiday dessert perfect for your party, Thanksgiving dinner, or Christmas dinner table. Yummy! 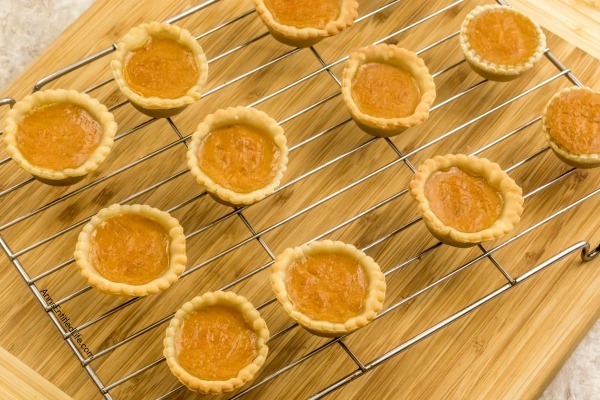 • For super easy mini pumpkin pies, use store bought pie crusts. 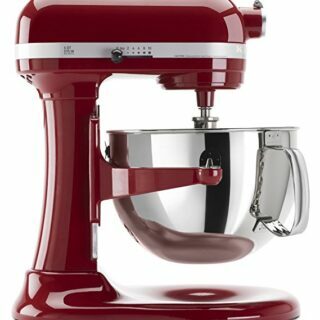 When time matters, they are a worthwhile baking-cheat. 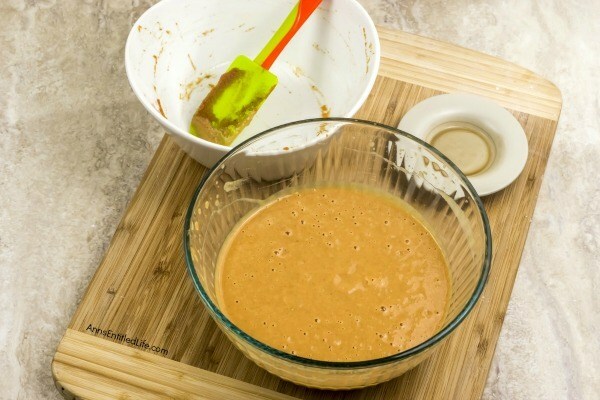 • If you have an extra half an hour, make your own pie crust. 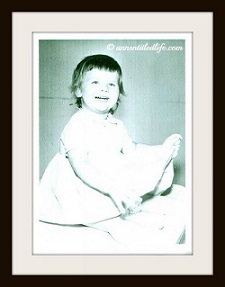 This easy pie crust dough recipe is not only simple to make, it tastes great too!! 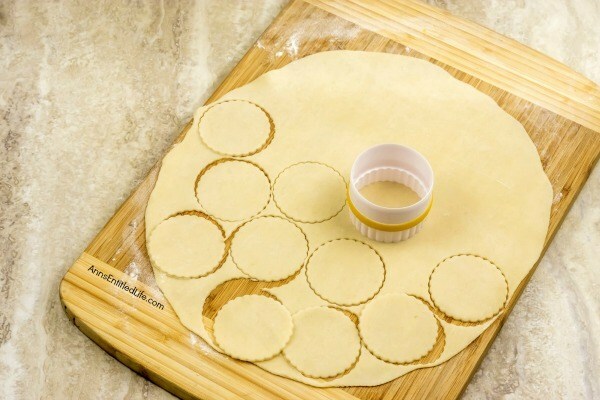 • Roll out pie crustthe on a lightly floured surface. 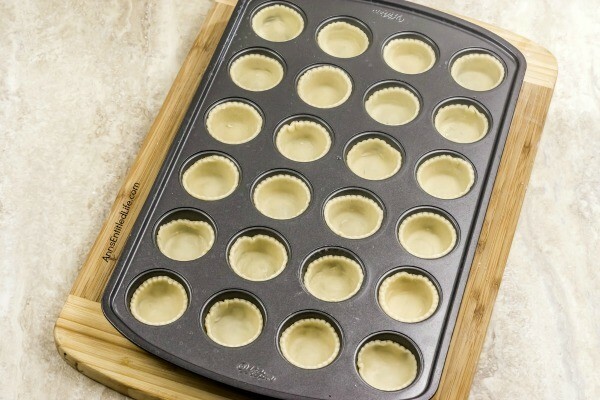 • Using a 3-inch cookie cutter, cut the pie crust into smaller crusts. Each pie crust should yield 12 smaller crusts. 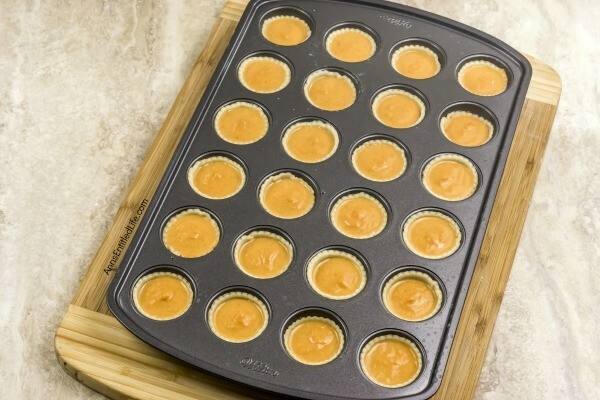 • Spray two mini muffin pans with nonstick cooking spray. Lightly press a mini pie crust into each well using a tart tamper (shaper). 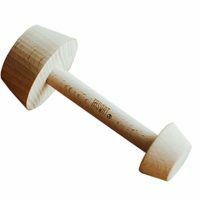 If you do not have a tart shaper, a clean wine cork works well. 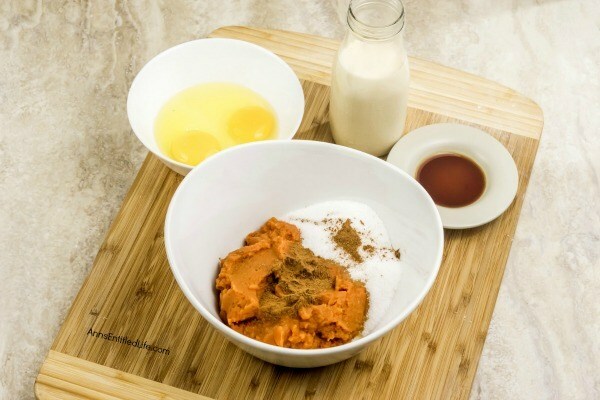 • Using a stand-mixer, in a medium bowl, blend together the pumpkin puree, sugar, pumpkin spice, and ground cinnamon. 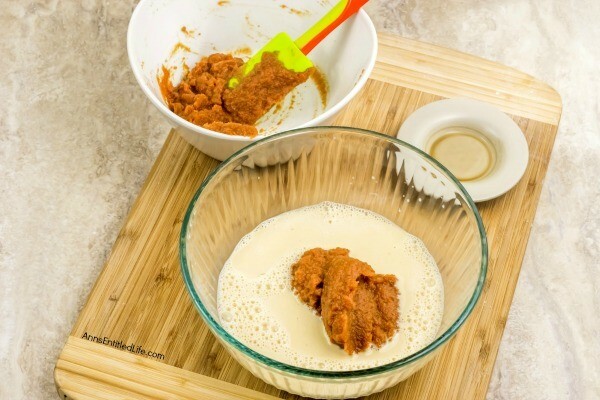 • Using a stand-mixer, in a separate bowl, blend the evaporated milk, vanilla, and 2 slightly beaten eggs until light and frothy. 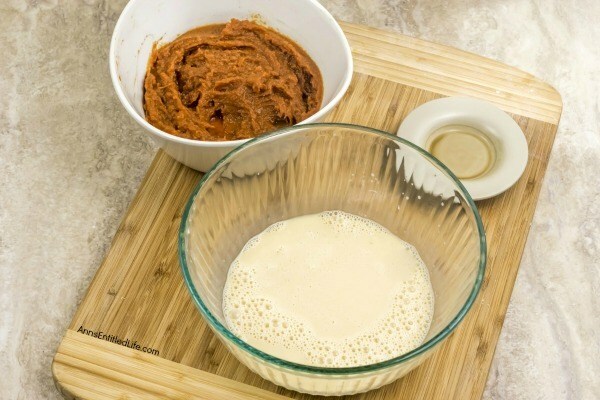 • Blend the two mixtures together until combined. 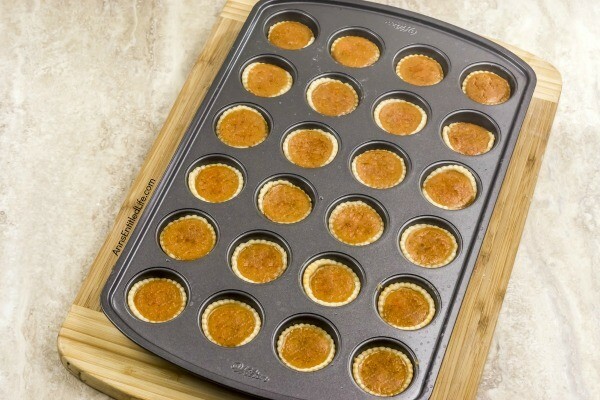 • Spoon 1 tablespoon of pumpkin mixture into each prepared mini pie crust. 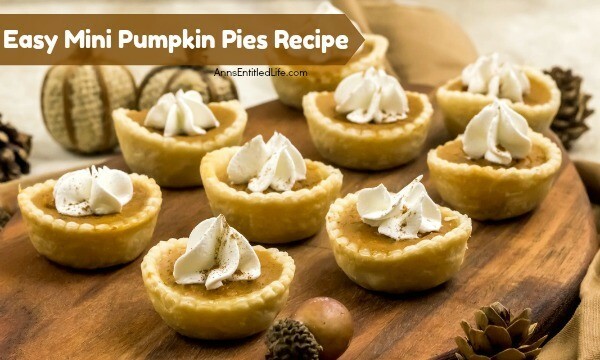 • Whisk together 1 egg and 2 tablespoons of water to form an egg wash.
• Using a pastry brush, lightly dab the edges of each small pie crust with the egg wash.
• Bake for 12 to 15 minutes in a preheated 350°F oven until the pumpkin is puffed and the crust is lightly golden. • Cool completely on a wire rack as refrigerating will cause cracking. 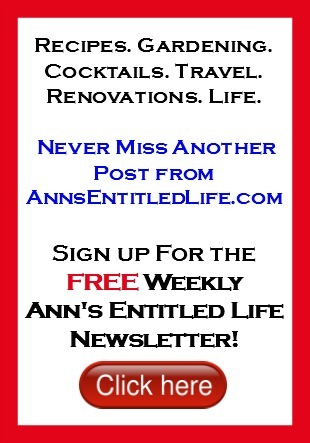 • Garnish with whipped cream or a sprinkle of cinnamon or nutmeg before serving. 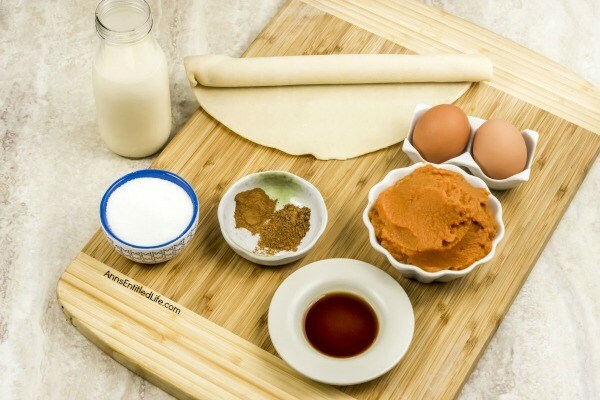 • Roll out pie crust on a lightly floured surface. 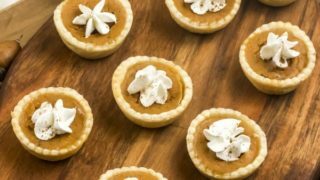 • Easy Crustless Pumpkin Pie Recipe – If you are looking for a fabulous pumpkin pie recipe without a crust, you will enjoy this amazing variation of a traditional pumpkin pie recipe. Crustless pies are all the rage – same great pie taste, fewer calories, and carbs by foregoing the crust. 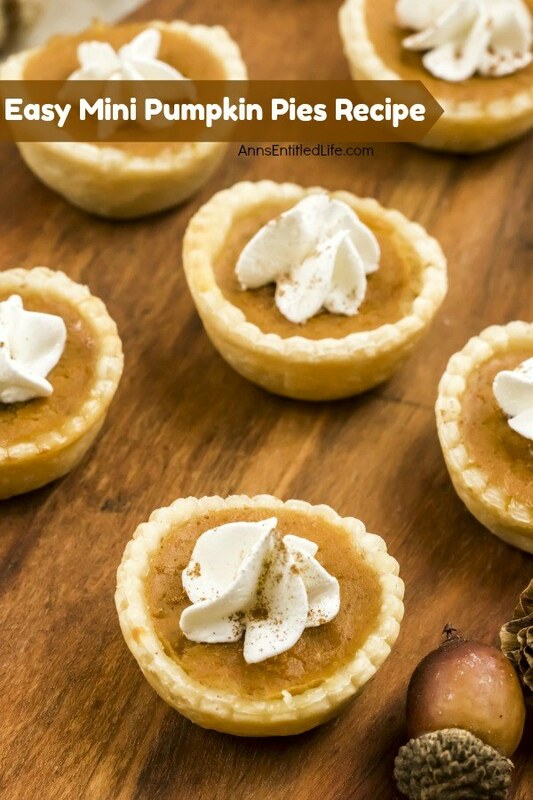 Crustless pies are easy enough to make using a springform pan, just read the step by step crustless pumpkin pie recipe I am sharing below to make your own terrific crustless pumpkin pie! • Pumpkin Icebox Cake Recipe – This Pumpkin Icebox Cake recipe tastes like pumpkin pie. The Pumpkin Icebox Cake gets better the longer it sets in your refrigerator, so it is a great recipe to make a day or two in advance of a big function. • Pumpkin Cheesecake Thumbprint Cookies Recipe – If you like thumbprint cookies, you will love this delicious update to that old classic recipe. These Pumpkin Cheesecake Thumbprint Cookies combine the spicy taste of pumpkin with the smooth taste of cream cheese for a truly decadent cookie!